Dear anglerfriends - I am very happy to serve you a New Year with a lot of new possibilities. It's an amazing cod fishing taking place outside Tromsø - North Norway just now. The big arctic cod - we call it "SKREI" - is now coming up to our coast from the Barentz Sea to breed. 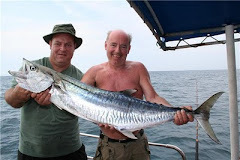 The professional fishermen are going completely crazy now - and they are making good money every day. Hopefully the weather will stay good for many weeks and the "BigFisher" is almost ready for new adventures. Wintertime is fishinggear time, and I really look forward to test Roy Polinskis 40 cm rubber fishes after the BIG halibuts in April. They look very good, and have a very good movement in the water, The colours are great - both dark ones for dark weather and bright ones for sunny days. From FisherKing I received a 200 kg BigGame digital scale that looks very good. HAPPY NEW YEAR 2012 DEAR ANGLERFRIENDS !!!! Together with my wife Jorun, my children, grandchildren and friends we had a wonderful celebration of New Years Eve in Tromsø - beautiful cold weather, clear sky and a nice breeze - just strong enough to remove the smoke from all the rockets and fireworks. The year 2011 has been full of activities and funny action. After a stormy beginning of the year, we had a wonderful spring and summer with nice trips and good fishing together with many good friends. 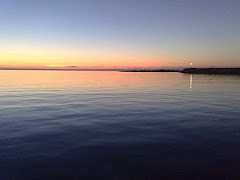 The autumn 2011 has also been full of excitement and nice fishing experiences from september until some days before Christmas. 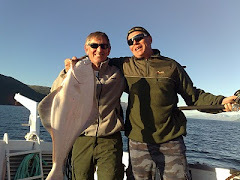 In late October I had 3 days of crazy Halibut action together with Henrik Bolten and Gunter Storr. 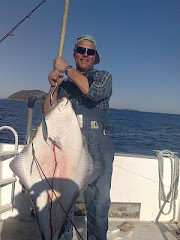 We landed many big Halibuts and this proved that the Halibut season includes October as one of the best months of the year. Fishing in October can indeed be very challenging, but in my opinion this is the most thrilling and exciting part of the season. Panther Martin jiggs work very good for me when the drift is slow in dark light conditions, but we had great success with trolling with cod as baitfish. The bigger the cod is - the bigger the catch will be !!! A new area of fishing was opened with extraordinary big success by my friend Henrik Bolten - halibutfishing from kayak. 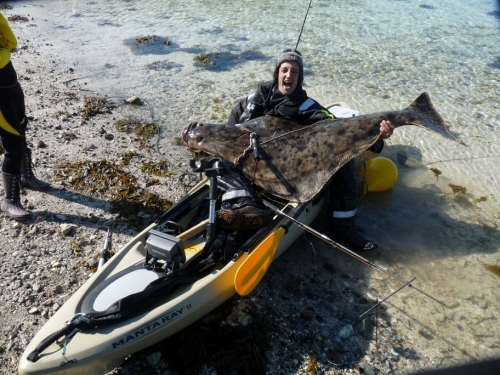 Henrik had great success with Halibutfishing from his Native Mantaray sit on top Kayak this summer. Henriks 175 cm / 75 kilo Halibut landed with his Van Staal Pro Reel just outside Kvaløyvågen is still the biggest halibut landed from a kayak and still a World Record catch. Henrik will probably work as a Norway fishing Guide in assosiation with Kingfisher in 2012, and I believe Henrik will be a favorite guide for many of the foreign anglers going up here. Henrik knows this area very good, and knows the tricks how to get the nicest fishes. 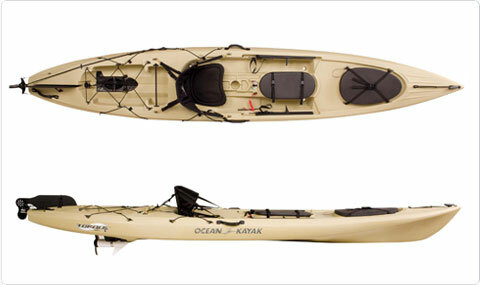 Kayakfishing will be a new challenge also for me in 2012, and Santa Claus has been very kind to me this Christmas. In 2012 I will carry with me two sit on top kayaks onboard the "BigFisher", one Emotion Fisherman and one Ocean Torque with Minn Kota electric engine . 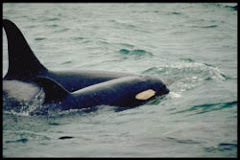 I look forward to launch them on the hot spots and together with good friends go for the big halibuts also from kayak. Reports will follow - be sure !! My fishing vessel - The M/V "BigFisher" has been working very good without many problems this year. After having trouble with the cooling system, I replaced one of the two Volvo engines and Twin-Disc gears. The new Volvo 312 HP engine and Twin-Disc gear have been stable and good, and this makes it possible to perform interesting trolling at both low and high speed. With the old gear the vessel was too fast for low speed trolling. 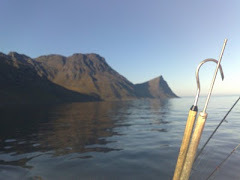 This spring I will try out the Canon down-rigger and paravan hunting for wild salmon outside the coast. 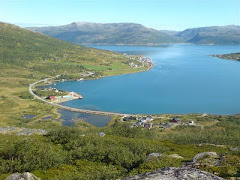 A lot of salmon comes from the Barentz sea up to the Norwegian coast heading for the rivers where they were born and where they will give birth to new generations of wild salmon. 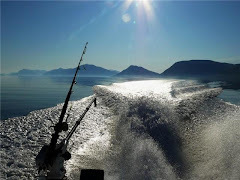 Normally the professional fishermen go after the big salmon with drifting nets, but trolling with down-rigger in different depths will be interesting to explore. Reports from this will follow !! I will let you see some pictures from my picturebook of 2011. 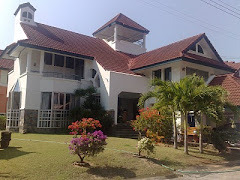 A review of some of my activities, travels, work and meetings with nice people during the year 2011. Thank's for all thegood times we had together in 2011 and wish you all a Happy New Year !! MATS WITH HIS FIRST ROD AND HIS FIRST HALIBUT - LOOK AT THAT SMILE !! JON THE FISHERMAN ON "BIGFISHER"
Nature is still beautiful !! INGEBORG, ANDRE AND JORUN ON "BIGFISHER"